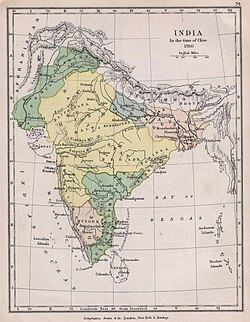 Territory unner Maratha control in 1760 (yellae), wioot its vassals. The Maratha Empire or the Maratha Confederacy wis an Indie pouer that existit frae 1674 tae 1818 an ruled ower a lairge aurie o the Indian sub-continent. This page wis last eeditit on 22 Juin 2016, at 17:38.